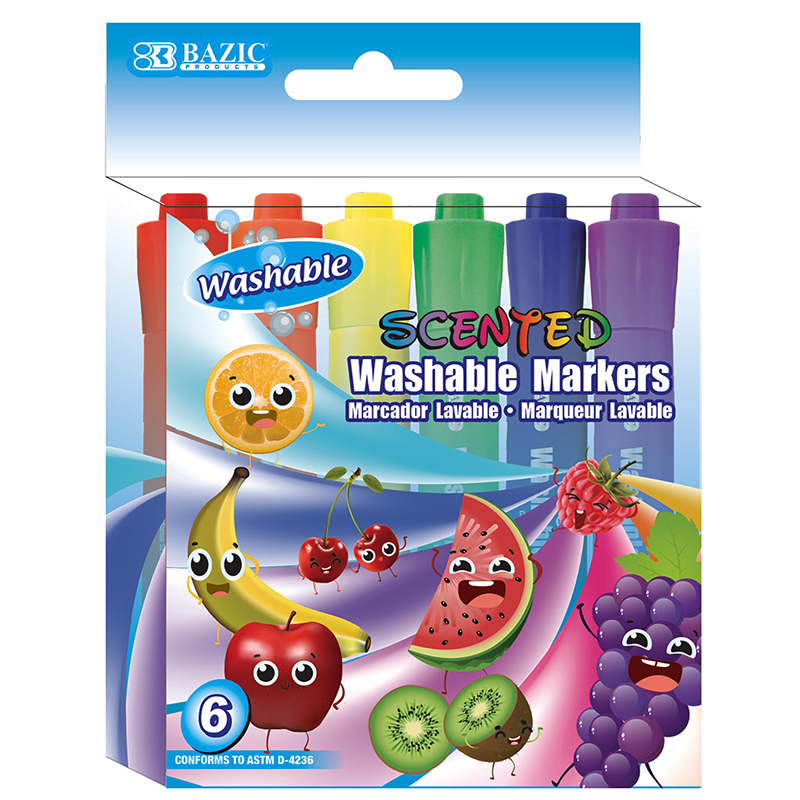 This set of scented washable markers is perfect for coloring and drawing. It comes in 10 different colors: red, pink, orange, yellow, green, light blue, blue, purple, brown, and black. 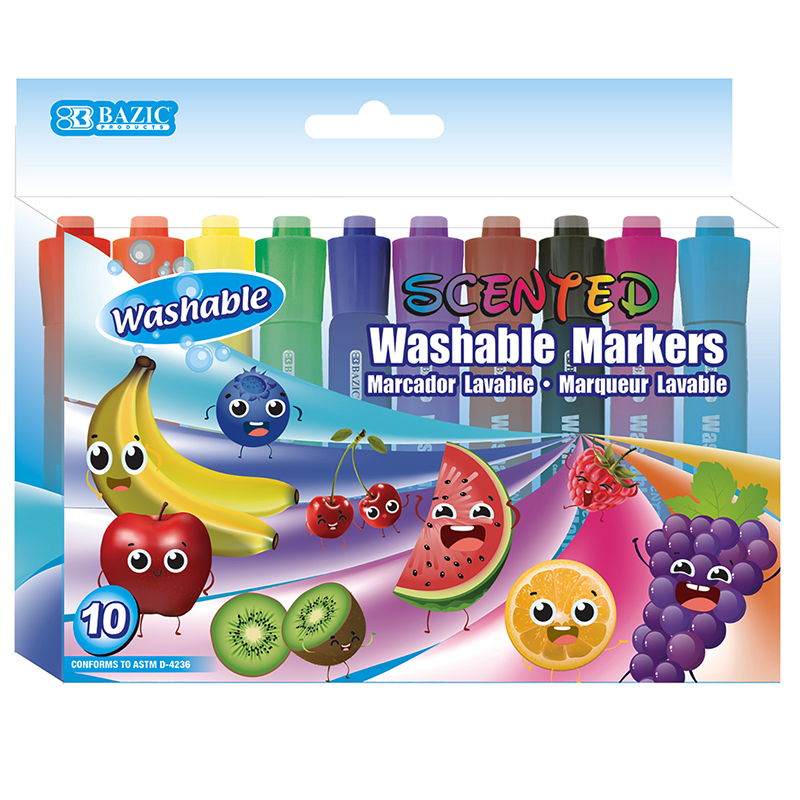 Each color is infused with different scent. They all have chisel tips, which allows the artist to draw fine line when using the pointed tip, and broad line when using the chisel tip. Wash & Care tips: most clothing can be washed in warm or hot water. Do not use pre-wash or chlorine bleach, repeat laundering if necessary. 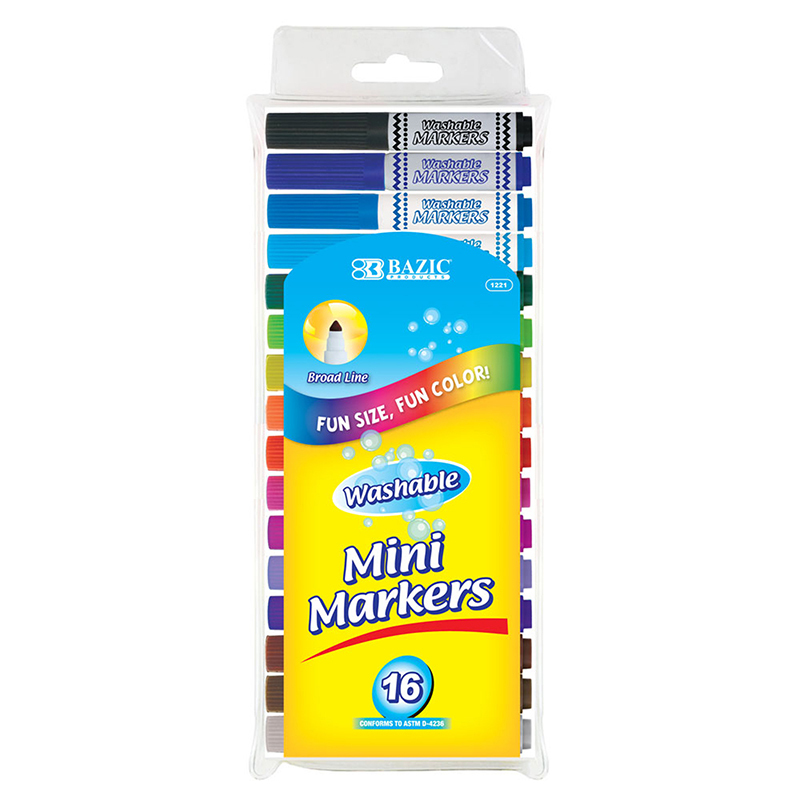 The Washable Markers Scented 10 Colors can be found in our Markers product category within the Arts & Crafts.